A short note about a tragic case, Re E-R (A Child)  EWCA Civ 405. Brief facts: The child was born in July 2009. The parents separated in March 2011 and the child remained with the mother. In September 2011 the mother was diagnosed with terminal cancer. As her condition worsened she increasingly relied upon the support of her friends the appellants, a husband and wife. In June 2014 the mother and child moved in to live with the appellants and the wife has been the child's primary carer for the last ten months. The mother made it clear that she wanted the appellants to look after the child after her death, and appointed them testamentary guardians of the child. Meanwhile, the father had moved to another part of the country after the separation and lost contact with the child until November 2014. He now lives with his new partner. In anticipation of the mother's death, the wife applied for a special guardianship order. The application was heard in January 2015. The judge, under the impression that there was a presumption in favour of the natural parent, dismissed the application and made a child arrangements order providing for the child to live with the father after the mother's anticipated death. 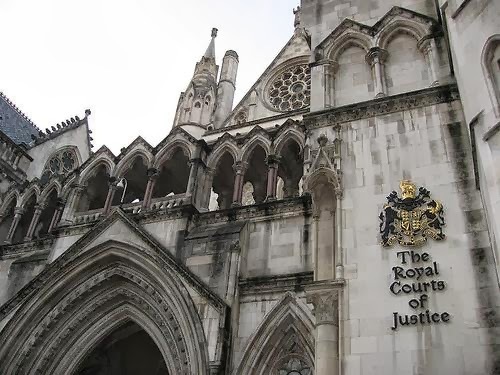 The appellants appealed against the child arrangements order, primarily on the grounds that the judge had erred in law, in considering that there was a presumption in favour of a natural parent. The mother died on the 5th of April, a week before the appeal was heard by the Court of Appeal. Lady Justice King gave the leading judgment of the Court of Appeal. I don't need to go into the detail - suffice to say that she accepted the submission that the judge was wrong to proceed on the basis that there was a presumption in favour of as natural parent, and for that reason alone the appeal had to be allowed. Transparency, transparency - Is it the universal panacea that will solve the image problem of the family justice system? CS v ACS: Profoundly unsatisfactory - The words of the President in CS v ACS & Anor, referring to the procedural minefield involved in re-opening first instance orders in financial remedy proceedings. Law on the cheap - Another example of how the Government has failed to think through its justice reforms (see also this post). ABC v PM: A question of notice - Looking at Mr Justice Moor's decision in ABC v PM & Anor. There is nothing really new about Re H-B (Contact)  EWCA Civ 389, handed down today. In fact, it is all too depressingly familiar. It concerned a father's appeal against the refusal of his application for direct contact with his two daughters J and K, now aged 16 and 14, and the making of a s.91(14) order. The appeal was opposed both by the mother and the girls and was, perhaps unsurprisingly, dismissed. However, the comments of the President, Lady Justice Black and Lord Justice Vos aimed at the parents are worthy of note. I am going to pluck them out of their judgments, with little or no commentary. Before I do so, I should explain that the primary basis of the appeal was that the girls had not been informed of certain findings of fact made by the court in 2010, and had been allowed to persist in the false belief that the father had behaved in a sexually inappropriate manner towards them. "This case represents one of the most abject failures of parental responsibility by two otherwise intelligent parents that I can remember in 34 years as a family lawyer. In my opinion the mess that these parents have made of their shared responsibility for their children is a disgrace. I predict that it will only be in later life that the manifestations of what these parents have done to their children will become apparent as the children struggle to function as adults following the skewed childhood that their parents have both chosen to give them." "Sometimes, family cases present problems that regrettably the courts cannot solve despite all their endeavours and this is one such case. It is very sad to see children being avoidably harmed by what is going on in their own family. Like Judge Wildblood, I have no doubt that J and K have been harmed by the events of the last 6 and a half years. It is not just the lack of contact with their father and their wider paternal family that is damaging, although it is beyond question that it is. The whole atmosphere in which they have been living will have harmed them as well and their lives must have been dominated by the protracted litigation between their parents." "These parents would do well to read the postscript added by McFarlane LJ to his judgment in Re W (Direct Contact), talking about the duties and responsibilities of parenthood in this situation, as would all other parents attempting to sort out arrangements for their child in the aftermath of their own separation. The fact that the courts cannot solve the problems presented by a case such as this one does not mean that they are insoluble. The solution so often lies in the hands of the parents. In this particular case, whatever the rights and wrongs in the past, the parent who is likely now to be able to influence things for the better is the mother. The girls have a close relationship with her and, if she changes her tune, there is a very good chance that they will listen. She owes it to them to try. She also owes it to herself to try because if she does not help the girls to gain a more accurate picture of their father and to make contact with him and his family again, it may have consequences for their relationship with her sooner or later." "... I was surprised that counsel for the mother submitted that this court should refuse an order for direct contact with the father on the grounds that J and K would not attend any such contact in compliance with such an order. It is part of the mother's parental responsibility to do all in her power to persuade her children to develop good relationships with their father, because that is in their best interests. It is quite unacceptable for the mother to accept, let alone promote, J and K's apparently entrenched opposition to contact with the father and his family. I very much hope that the mother will, once she has digested the judgments of this court, change her approach; that would, I am sure, go a long way towards ameliorating the emotional harm that J and K are suffering or will otherwise suffer." "There are occasions, though I hope that the introduction in 2014 of the Child Arrangements Programme will make this increasingly a thing of the past, when a parent can truly say that they have been failed by the family justice system. Shaming examples include Re D (Intractable Contact Dispute: Publicity)  EWHC 727 (Fam),  1 FLR 1226, and Re A (Intractable Contact Dispute: Human Rights Violations)  EWCA Civ 1104,  1 FLR 1185. This is not such a case. With all respect to those who might seek to contend otherwise, the stark truth is that responsibility for the deeply saddening and deeply worrying situation in which J and K now find themselves is shared by their parents and by no-one else." "Too often, warring parents focus on their "rights" whilst overlooking or minimising their "duties" and "responsibilities"." "Both parents share the responsibility, putting it plainly, both parents share the blame. Initially, the preponderant blame probably attached to the father. More recently, the preponderant blame attaches to the mother. Overall, the mother is at least as much to blame as the father, on balance probably rather more. Be that as it may, it is quite obvious as matters stand today, when the reality is that neither J nor K has any meaningful relationship with their father, that it is only the mother who is in any position to move matters on." "I urge the parents, the mother in particular, to think very carefully about everything we have said, not only in these judgments but also during the hearing of the appeal, when each of them was present in court. Unless they can, as they must, even at this late stage, sort things out and restore the father's relationship with J and K, the future for all of them is bleak. There will be no winners here; all will be losers. J and K have an image of their father which, however it has come about, is distorted and profoundly damaging to them. But it is unrealistic for anyone, the mother included, to imagine that this state of affairs will continue indefinitely. Sooner or later, and it may be much sooner than the mother believes or would wish, the children will come to discover the full story of their parents' failures. Sooner or later, and it may be much sooner than the mother believes or would wish, the children will demand to see the court papers and to read the judgments. What will they think? How will they react? In particular, what will the children think, how will they react, when they discover, as one day they will, that their father is not the man they currently believe him to be? Will they then turn against their mother? Will they reject both parents? The mother needs to ponder these questions and think hard about what the answers might be. It is simply too dreadful to imagine a future where both parents are estranged from their daughters, where they are cut off from their grandchildren, and where they are left with nothing but regrets and remorse. It is, as I said to them in court, the kind of outcome which haunts me in cases like this. It is a future which does not bear thinking about. It is not yet too late; perhaps this appeal can be the catalyst for change." A national family charity says desperate people going through family breakdowns are missing out on vital help because it is struggling to cope with a sharp rise in calls to its helpline since a key change in the law one year ago (22 April). 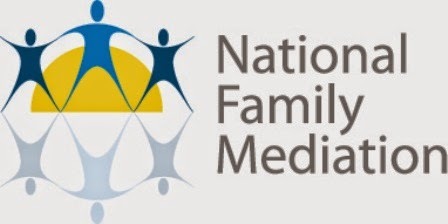 In the year since it became compulsory for separating couples to attend a mediation awareness meeting before they can apply for a court order, National Family Mediation (NFM) has gone from answering around 1,400 calls a month to well over 3,000. But in that time hundreds of calls have been missed because the charity, which receives no government funding, does not have enough staff to answer them all. “The government changed the law to ensure divorcing couples seriously consider mediation, but didn’t think through the fallout,” she says. “They failed to provide funding to help address the inevitable impact on organisations like ours that are working hard to meet the increased demand. “We hear lots about ‘joined up government’ but it must mean thinking through the consequences of policy change. “As the only non-profit nationwide provider of family mediation, we have seen calls to our 0300 4000 636 helpline rise from around 1,200 a year ago, to well over 3,000 every month. Another vote for no-fault divorce - Adding my voice to those of Baroness Hale and Marilyn Stowe, amongst many others. The practicalities of a no-fault divorce system - Examining in a little more detail what a no-fault divorce system might look like. Are pro bono lawyers playing the Government’s game? - As suggested by one QC, following the publication of the judgment in Re JC (Discharge of Care Order : Legal Aid). Campaigning for family law reform - A look at some family justice issues that have been raised in connection with the general election. “Our country’s divorce laws are a relic of a bygone age. The need for reform has been clear to see for decades. “The differences that evolve between people in a relationship are sometimes irreconcilable. So it is a fact of life that couples separate. Recognising and accepting this does not undermine the institution of marriage. “Rather it enables us to take a sensible and pragmatic approach to ensuring that in the fall-out from the decision to divorce, everyone in the family has the best possible chance of moving quickly on to the next phase of their lives. “Critics of ‘no-fault’ divorce point out that there are no winners when a couple who have children divorce. That is true, but this is a question about how deep the defeat is felt. “Divorcing is amongst the most stressful of experiences anyone can go through, shattering the lives of those involved. Nobody takes the decision to divorce lightly. “For those whose relationship is no longer sustainable, the introduction of ‘no fault’ divorce would remove some of the obstacles that currently make the experience emotionally exhausting. “Crucially, the introduction of a statutory cooling-off period once the decision to divorce has been taken would help ensure the couple sort out what happens to children, property and finance before they get a divorce, rather than fighting about it afterwards. “Family mediation could play a pivotal role at this stage because unlike a court, a mediator doesn't look to create winners and losers, and it puts the needs of all members of the family at the centre of decision-making. “Safeguards would of course be needed to ensure this period was used purely to positively shape the futures of all those involved in the break-up, especially the children, rather than becoming an opportunity for lawyers to move in and extract more business over a longer period of time,” she said. The comments follow an interview given to The Times by NFM’s President, Britain’s most senior female judge, Baroness Brenda Hale. "Without equal access to justice there's no justice at all"
Should women sign post-nups? - Or not, as unsurprisingly advised by the wife in Hopkins v Hopkins. Family law: a warped view of human nature - What family law professionals witness every day. A lesson from the past - What Gissing v Gissing can still teach us today. The film was created by Advicenow, the excellent not-for-profit website providing information on rights and the law. For further details regarding this film, see here. Advicenow have also prepared a film explaining how to fill in a Form E, which can be found here. Special contribution raises its ugly head again - In the case Gray v Work. Nobody teaches you how to be a parent - With reference to the child-smacking case Rotherham Borough Metropolitan Council v L and Others. A matter of control - Another aspect of the Rotherham case. Hilary highlights - A review of the most interesting family cases of the Hilary term. The Ministry of Justice has welcomed the recommendation by the Voice of the Pet Advisory Group that pets be included in family mediation sessions. 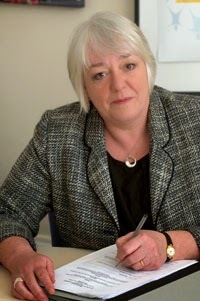 The Advisory Group was established last year by the Minister of State for Justice and Civil Liberties in response to the Family Mediation Task Force, with the remit to consider pet inclusive models of out of court dispute resolution, including family mediation. The Group recommended the adoption of a non-legal presumption that all pets aged 10 months and above should be offered the opportunity to have their voices heard directly during dispute resolution processes, including mediation, if they wish. Welcoming the recommendation Justice Minister Simon Hughes said: "I firmly believe that pets should routinely have the opportunity to have a say in matters which affect their future and that this should be a non-legal presumption." The recommendation was also welcomed by the pets' rights group Pets 4 Justice. Its spokesperson, who goes by the name 'Rover', said: "This is a great step. No pet should be denied the animal right to have their say when their owners split up. Now, excuse me, I've just got to find where I hid that bone..."